Animal cognition studies show that dogs need more to do than simply exist in the home. Being under-stimulated mentally is the biggest cause of behavioral problems in pet dogs. Dogs who are insufficiently stimulated often end up suffering from boredom or anxiety and engaging in unwanted behaviors. Getting a daily dose of exercise, both physical and mental, is as necessary for a dog as food, water and shelter. What does your dog do and think about all day while you are busy with work, family and chores? Chances are, he is lounging at home, bored. If he’s lucky, he’ll get a walk and a quick game of fetch or tug when his person gets home from a long day. If he is really lucky, he is at day camp playing with his friends. But is that enough? To ensure a content canine, mental stimulation of your dog should be a priority. 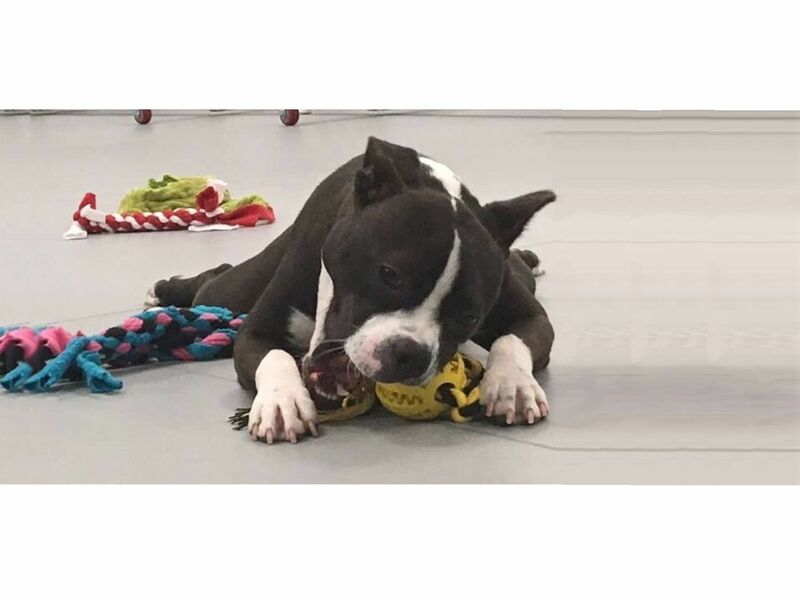 The Academy of Canine Enrichment (ACE) is a unique program that provides dogs with engaging activities that will stimulate their brains. Instead of wasting valuable learning time, your dog can attend a specialized program that will give them a fun and educational way to spend their day! They will be having fun and you can relax knowing his needs are met. The ACE Program is an individualized day of structured, trainer-guided, activities for your dog’s enjoyment. The activities will encourage learning, problem solving and impulse control. Group play will be shorter and will focus on a small number of dogs that are frequently rotated to prevent over-stimulation. In ACE, dogs: learn new tasks and skills; interact with humans in new and fun ways; solve a variety of puzzles; work on balance and stretching exercises; and play with friends. Activities will rotate on an hourly basis to ensure that the dogs are getting the most out of their experience. Activity preferences will be noted for each dog so they get to do more of what they like. The Ace Program will be in session three times per week. You can choose the number of days you would like your dog to participate. The highly individualized nature of the program means that space will be at a premium and limited to 16 dogs per day. Pre-registration will be required 2weeks in advance (earlier if possible) and scheduling changes must be requested a week prior. You can book full ($50) or half-day ($40; 1/2 day of ACE and 1/2 day of camp) sessions. Dogs new to Coventry must pass a day camp evaluation before beginning the program.